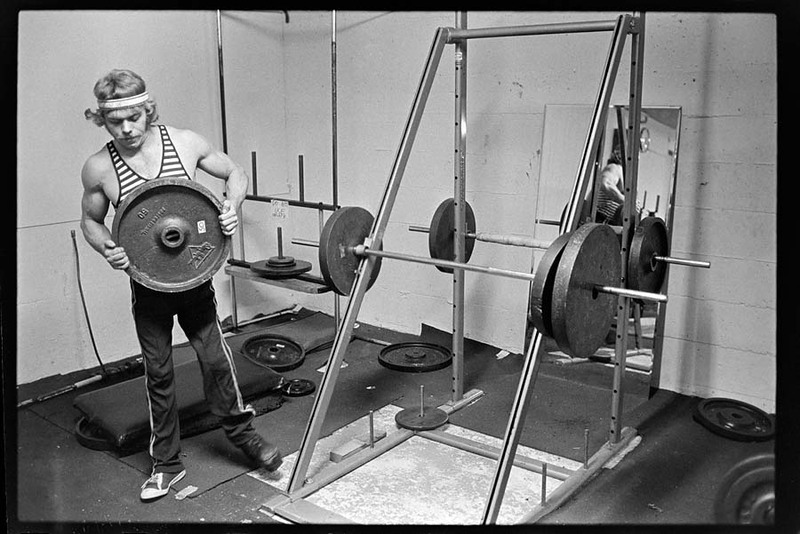 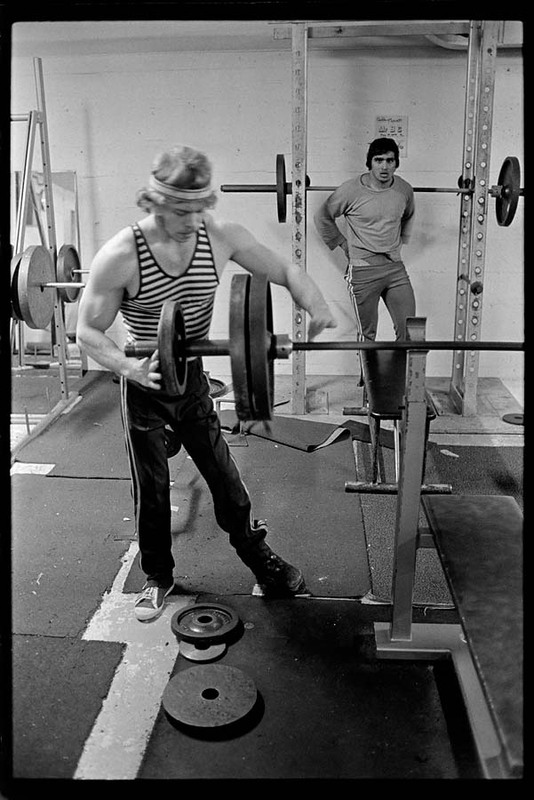 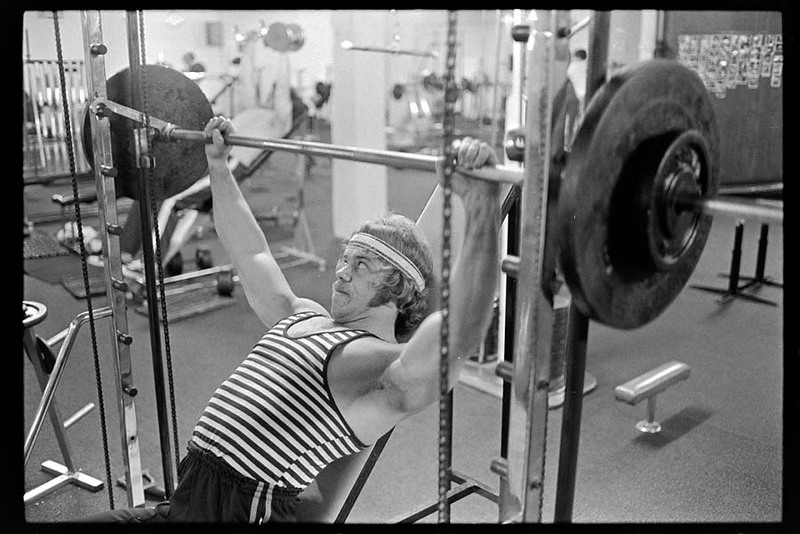 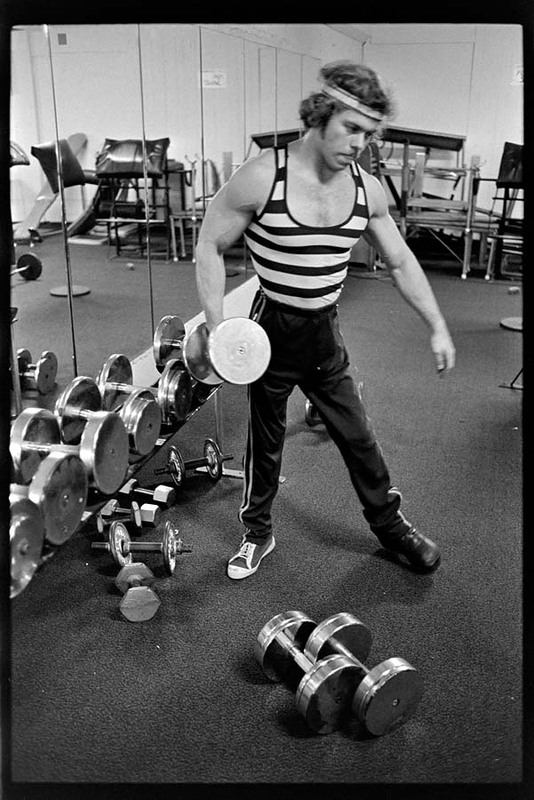 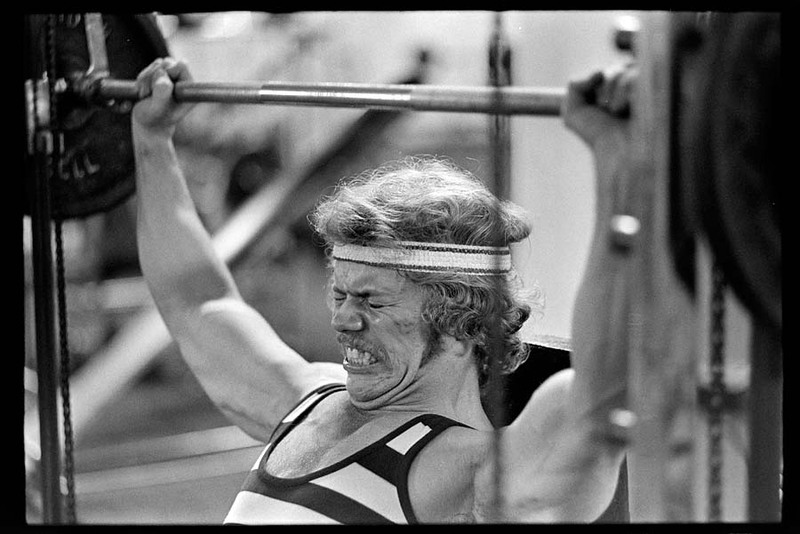 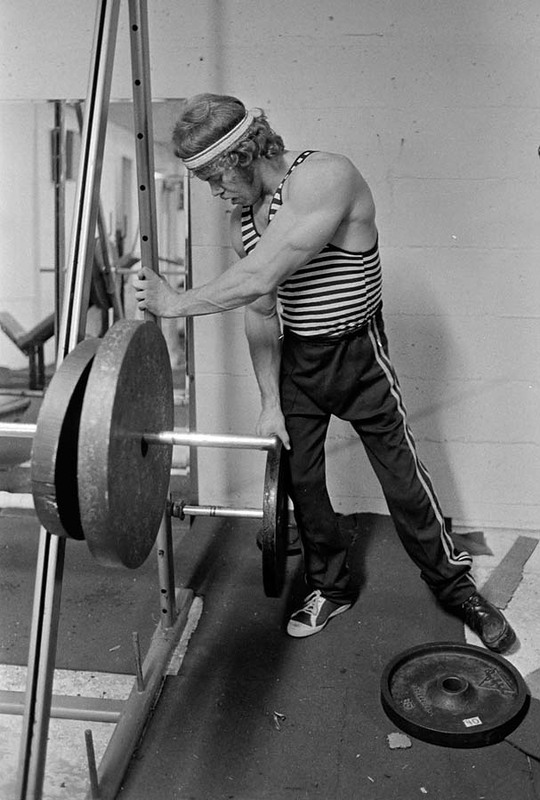 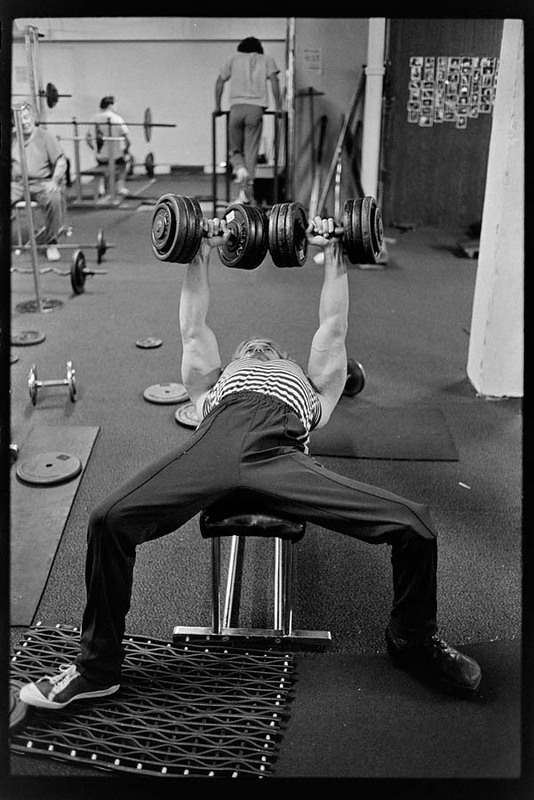 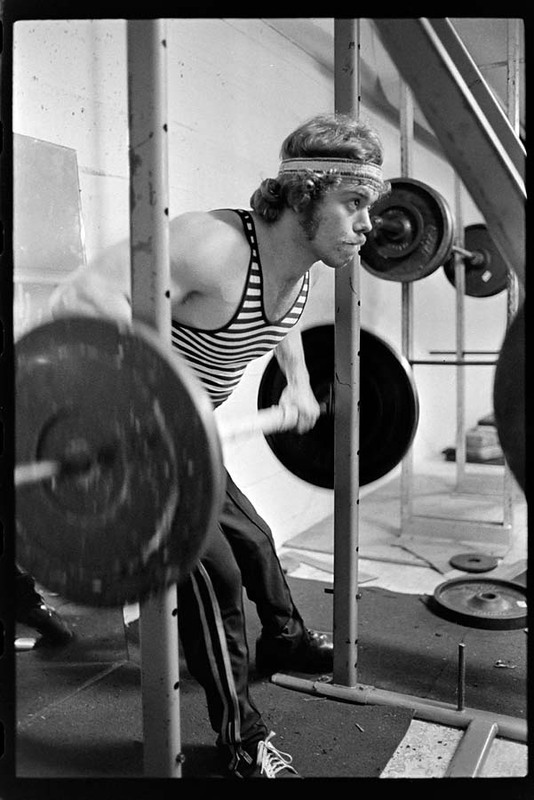 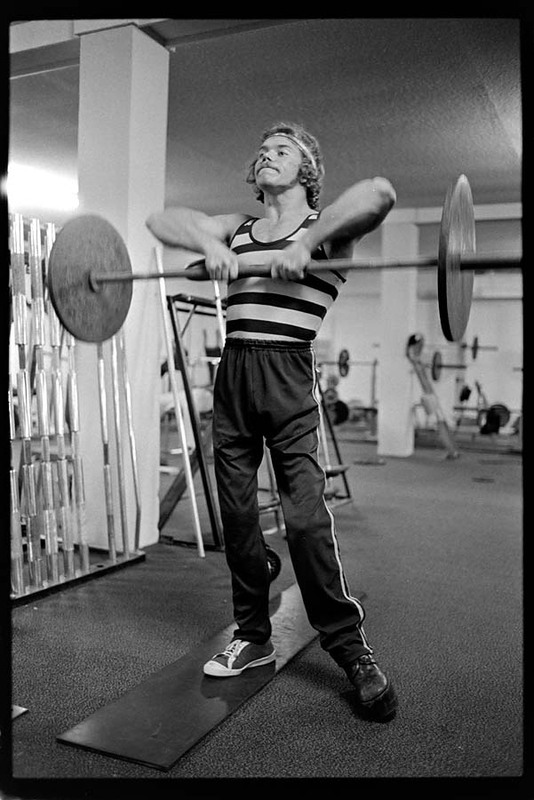 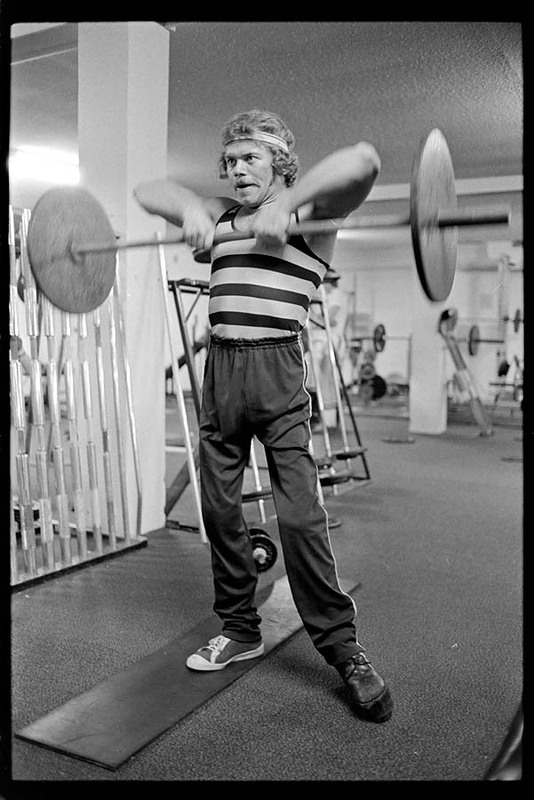 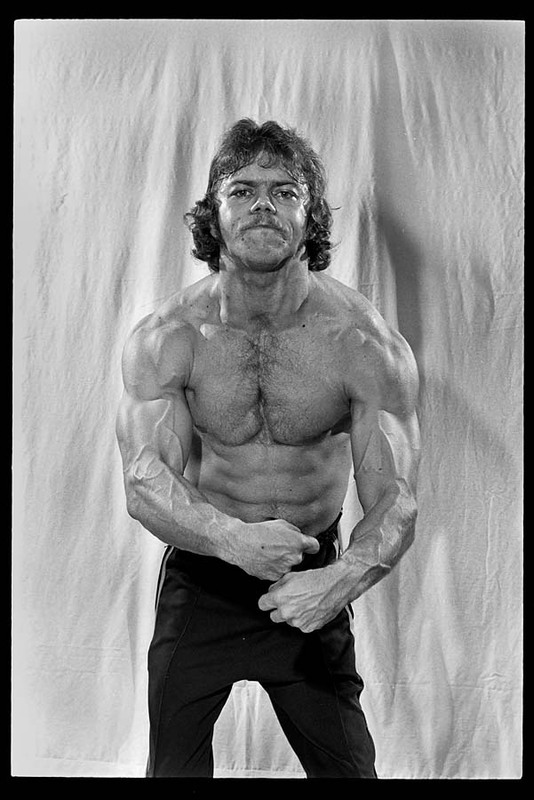 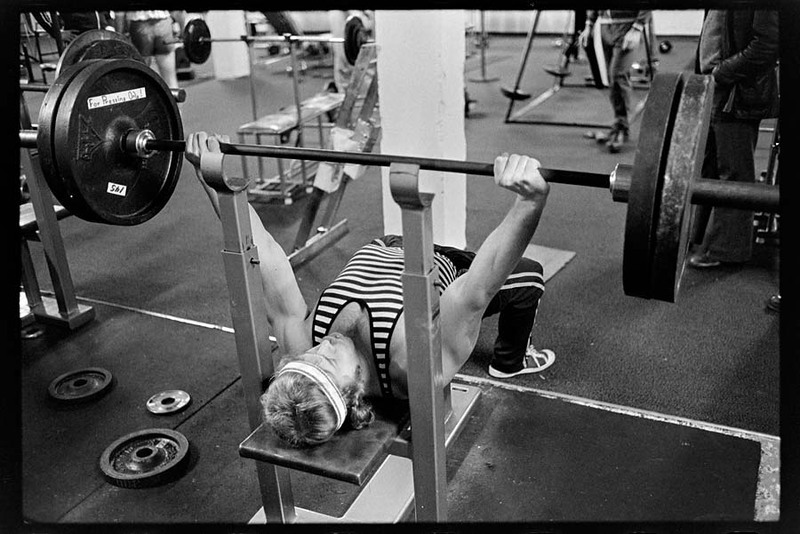 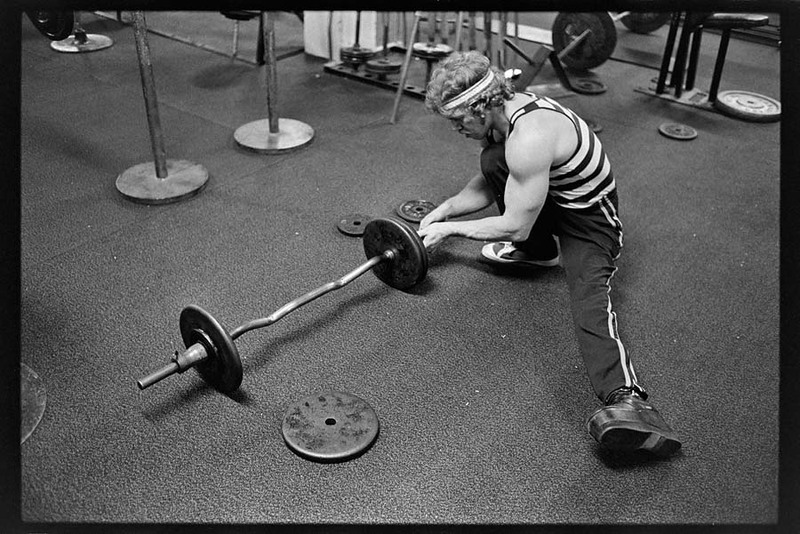 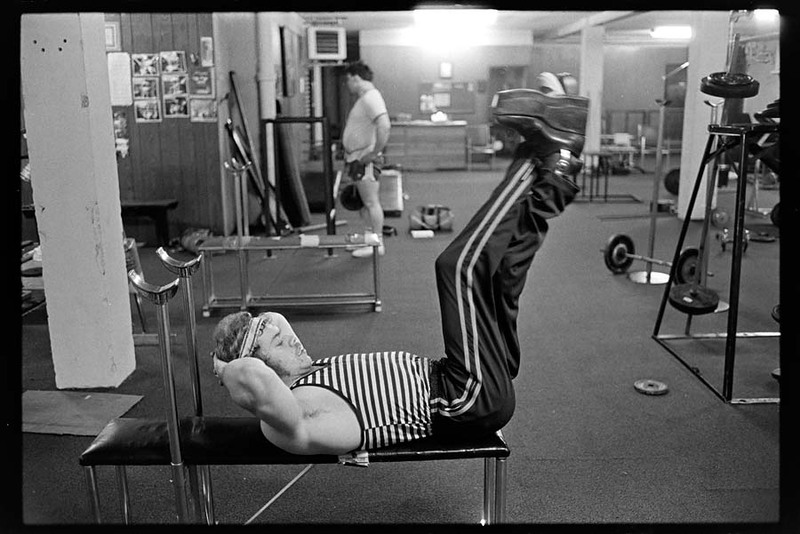 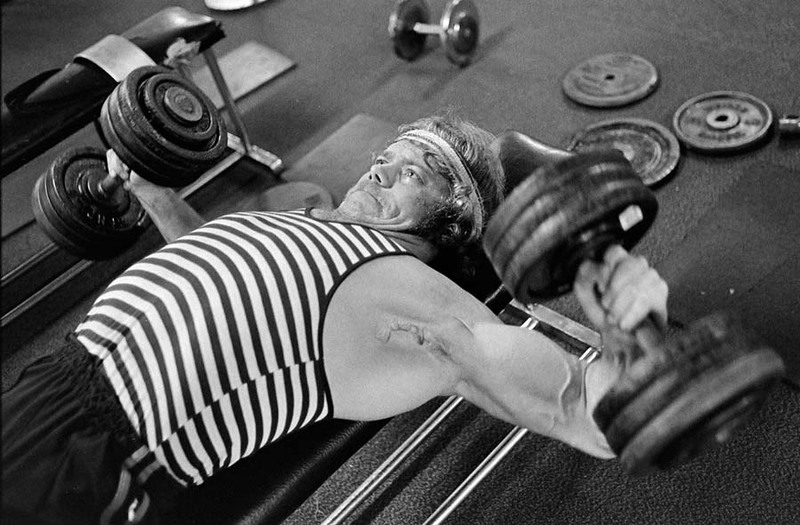 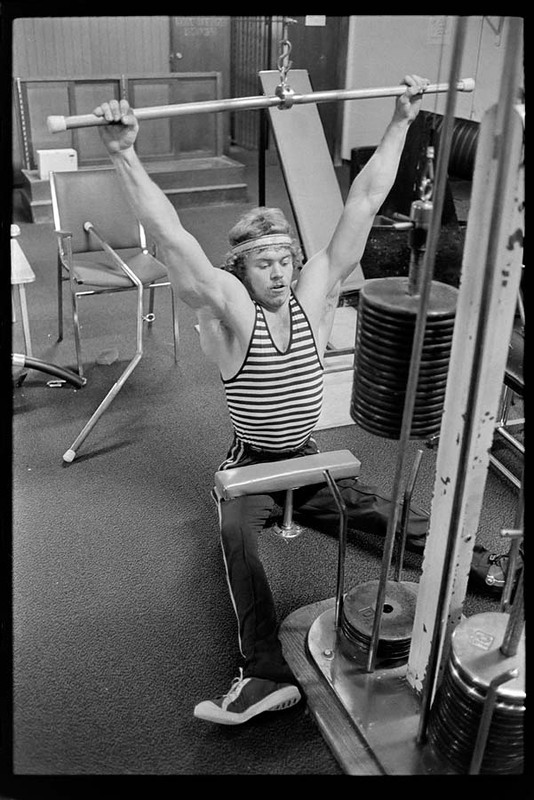 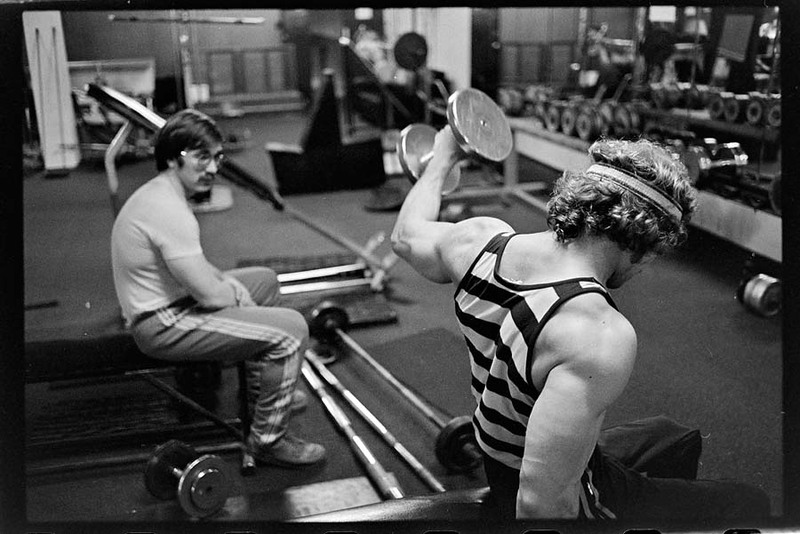 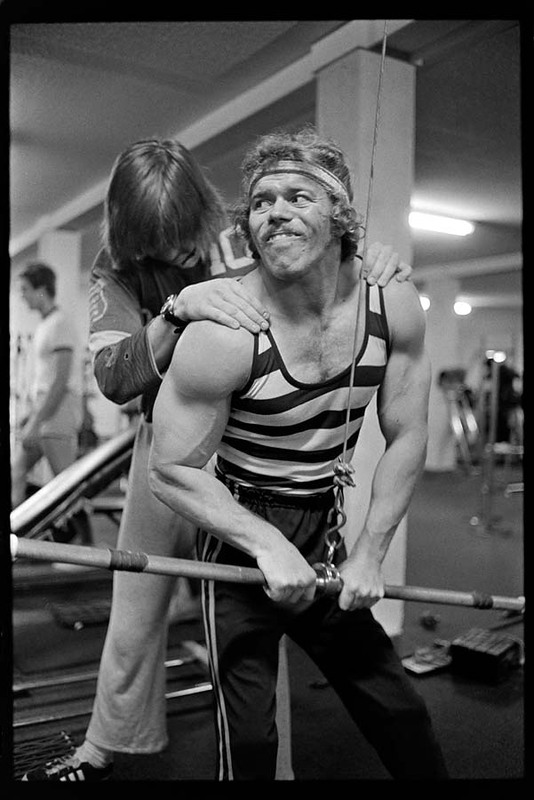 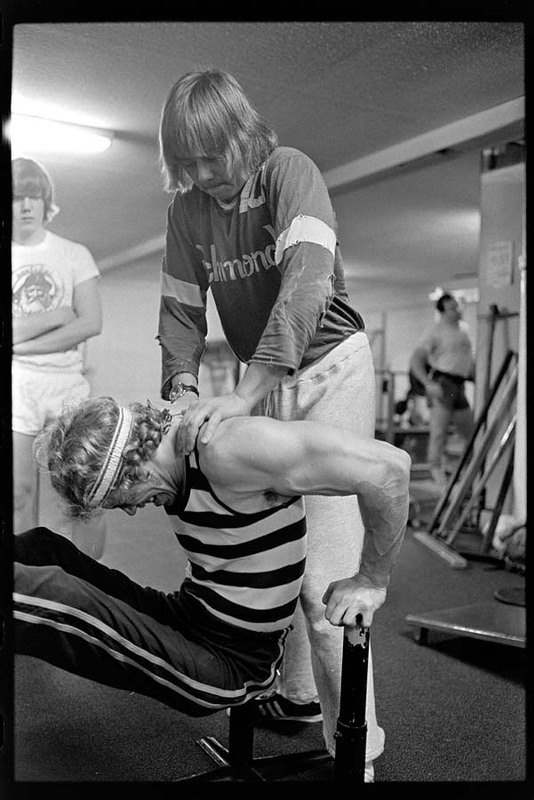 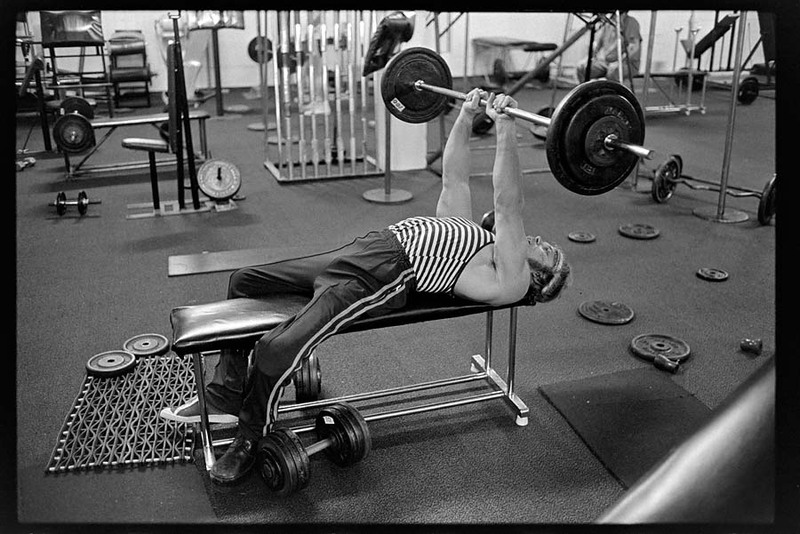 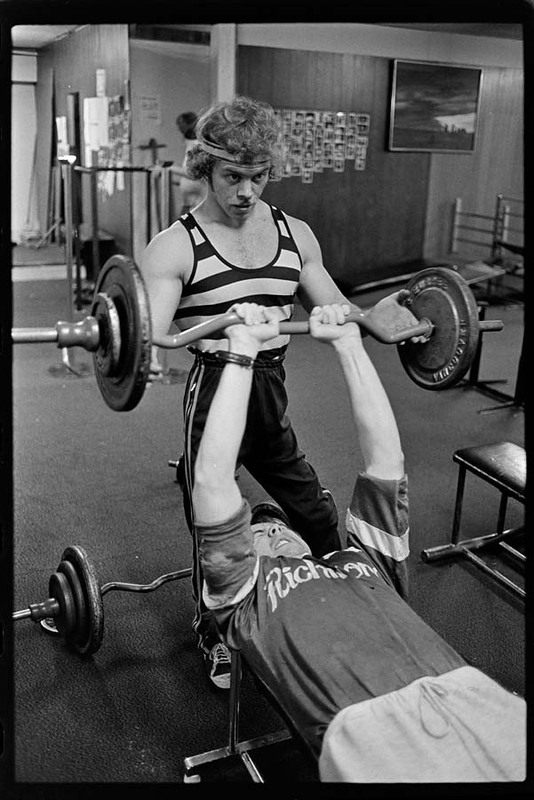 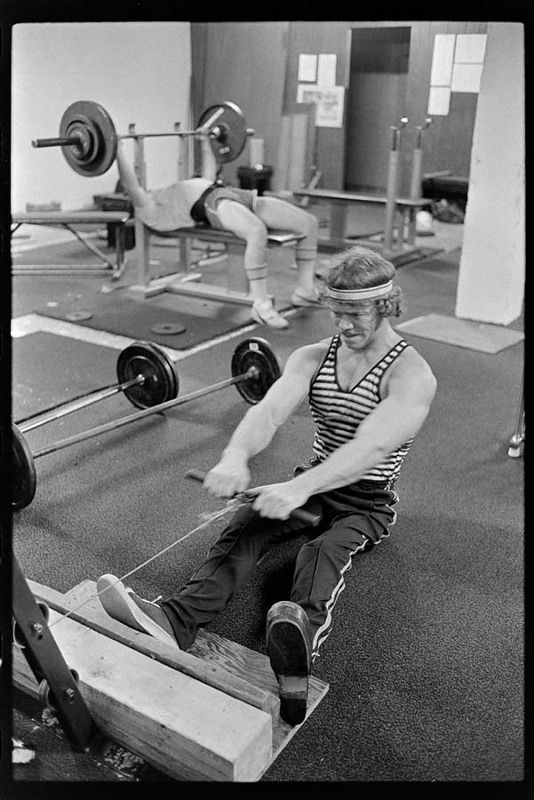 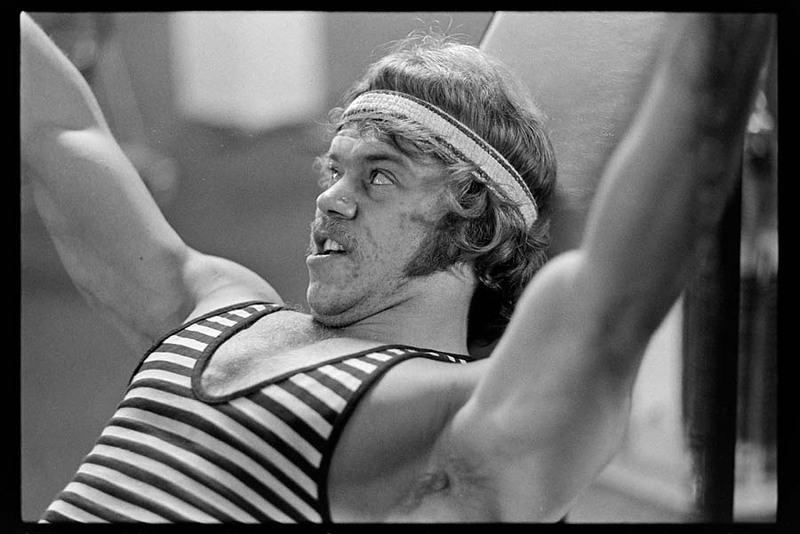 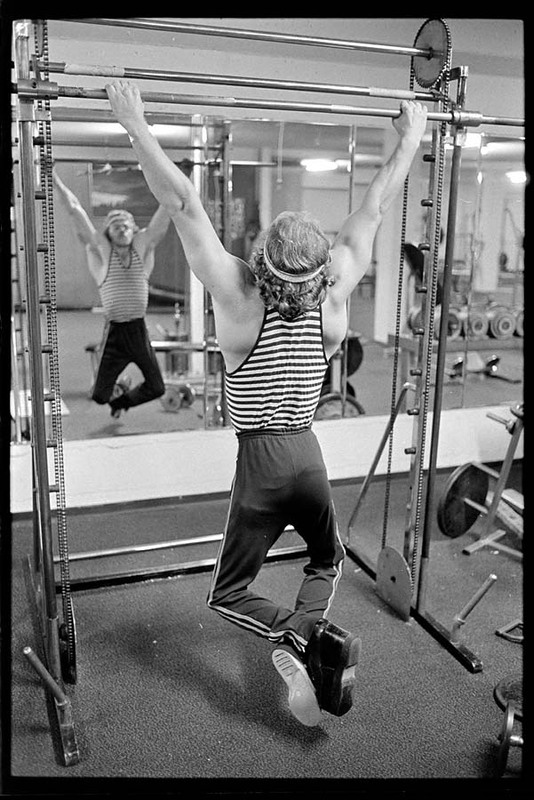 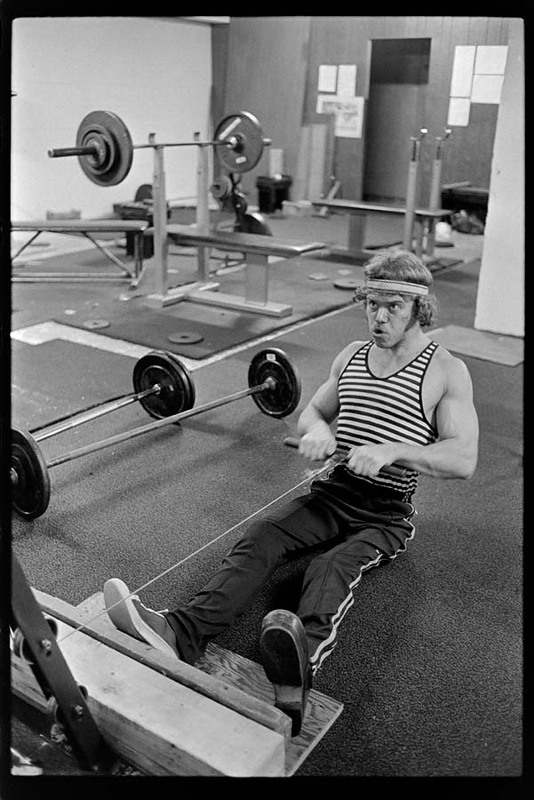 Published in the Vancouver Province, March 22nd, 1977 — At the time these pictures were taken Lenny Marriott was 24 years old and had been lifting weights for eight years. 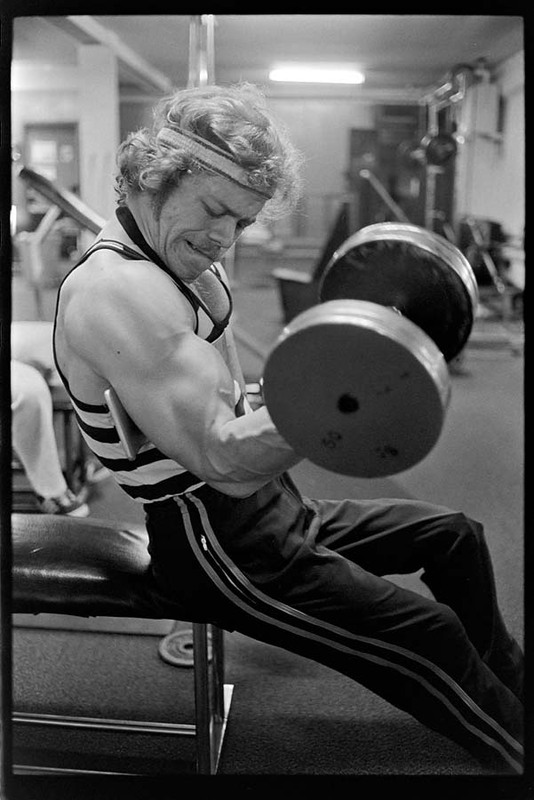 At 5 foot six inches and 123 pounds he was unofficially the strongest man in North America for his weight having bench pressed 295 pounds during a power lifting competition in 1975. 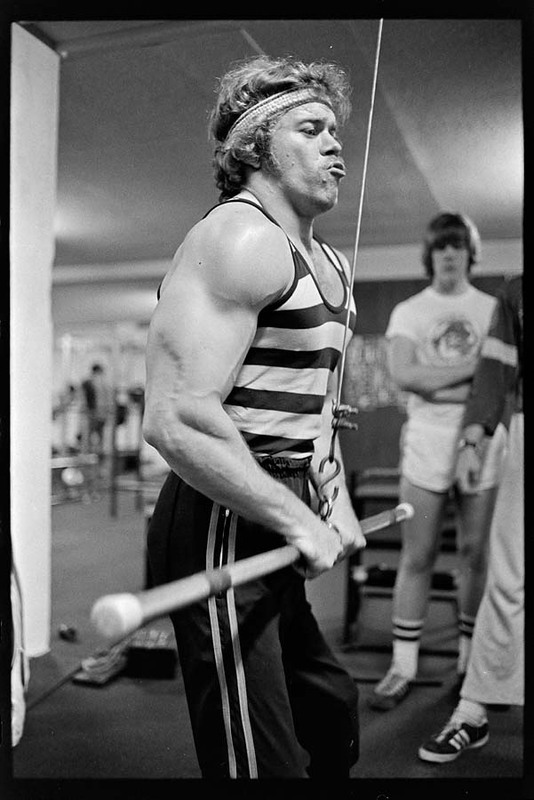 In the mid to late 1970’s body building had become a popular sport because of the publicity surrounding Arnold Schwarzenegger. 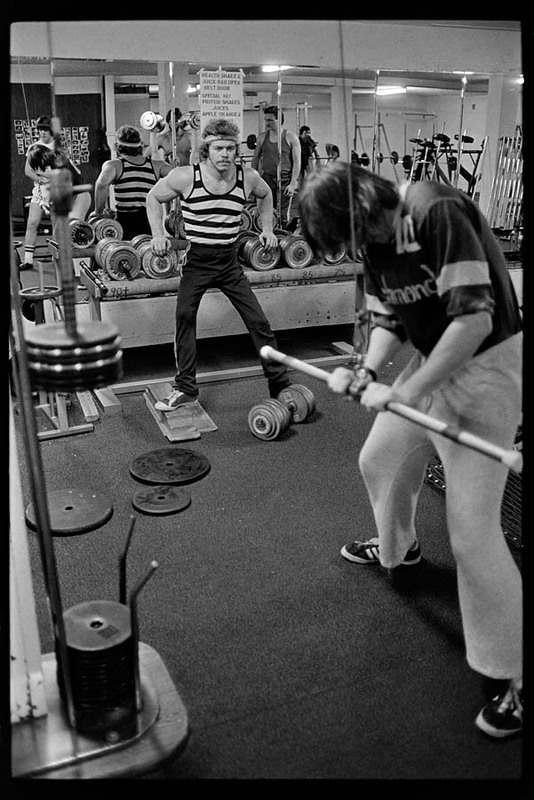 Marriott had switched to this sport and was lifting weights two hours a day 6 days a week hoping to win a major body building championship. 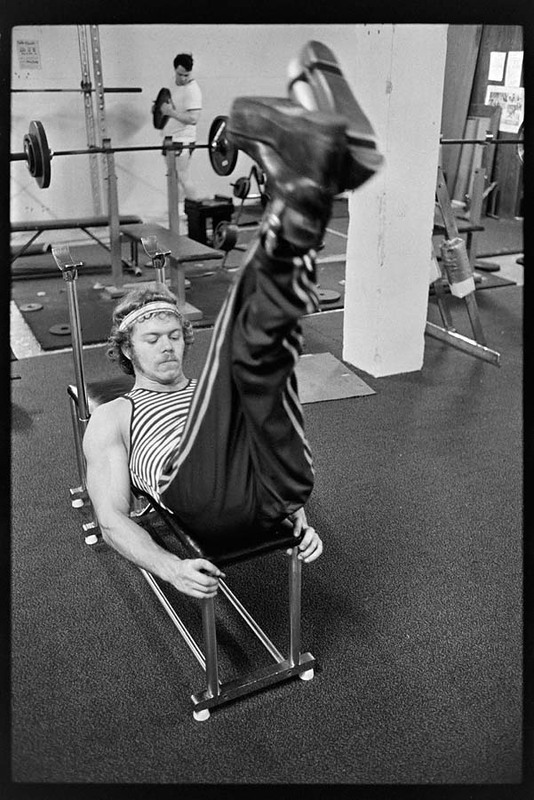 Seven of the pictures ran as a full page spread in the newspaper.